Kurt Cobain is a pop culture icon and his story is well documented. He was the Seattle rocker who formed Nirvana and joined the ‘club’ but Montage of Heck explores the man behind the mythology and leaves the music to speak for itself. 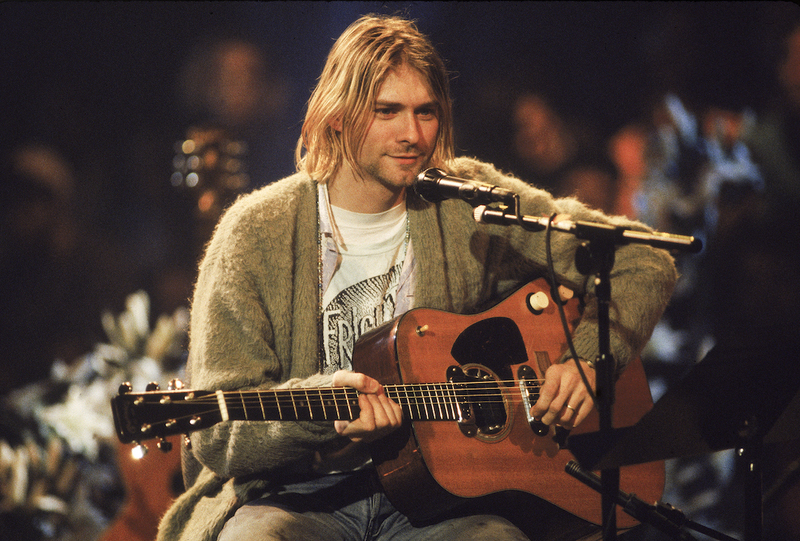 Kurt Cobain, MTV Unplugged, November 1st 1994. The end result is a rock song; a track that speaks volumes and is a product of its creator’s mind. That’s what the audience is given but the cost of creating and making, and the reasons why that piece of music exists are lost in the process. We’re left with a memento, a token, something borrowed. That’s perhaps the trick of great art – it expresses something that we all meant to but could never find the words to say. Cobain was skilled at creating relatable art but he himself never did it for us, it was a personal pursuit and something that he couldn’t have stopped even if he wanted to. That’s what Montage of Heck suggests anyway, a documentary directed by Brett Morgen with input from Cobain’s daughter Frances, his ex wife Courtney Love, his mother and father Wendy and Donald, and Kris Novoselic, his friend and fellow band member. It’s a documentary that humanises the rock star behind the mythology and what it reveals is an unhappy man who wore the mantle of fame far too heavily. The story begins in Aberdeen, Washington and it explores the early days of Cobain’s life. He didn’t have a happy childhood, his family struggled to deal with his behaviors, and he found himself shunted between his grandparents, his dad, and his mum. His early life was one of transition and Montage of Heck uses home video and interviews with his family members to establish the contexts that led Cobain to write songs, the escapism he found in art and music, and the manner that external influences bled into the work that he produced. It’s not a documentary that focuses on the music but one that considers the reasons why that music was created. Cobain is portrayed as an angry young man, with good reason, and that anger manifested in the grunge music and the identity he adopted. He was a man apart, a man that felt distanced and unlovable, and this certainly translates into the content of his writing. Morgen foreshadows Cobain’s life, and the thematic concerns of the documentary itself with the idea that Kurt’s childhood was a determining factor in who he became. The aggression, the boredom, and the unhappiness he felt needed an outlet and that was found in artistic expression – Cobain was a painter too, he drew just as much as he wrote. This immediately has an effect on the audience as it suggests that the music that sound tracked so many young lives wasn’t created for the audience itself. Cobain effectively used his creativity as a form of therapy and his work speaks more for him than it ever did for a generation. In fact Morgen goes to great lengths to show that Cobain was a disillusioned Generation X youth and he wasn’t essentially different but he was reflective of the cultural experiences of growing up in the ‘80s. There is a distinct tone in Montage of Heck and one that arguably reflects the way that film director Richard Linklater portrayed growing up in his films. There’s a slacker ethos to Cobain himself and the way that he talks and expresses himself on old recordings sounds just like the way Linklater writes dialogue for his characters. This places Cobain in a real world setting, not one that is atomised from society but one that is culturally relevant to his contemporaries. The animation has a distinct Linklater-esque tint. Stylistically this Linklater-esque tone can be seen through the cell-shaded animation used throughout the documentary. 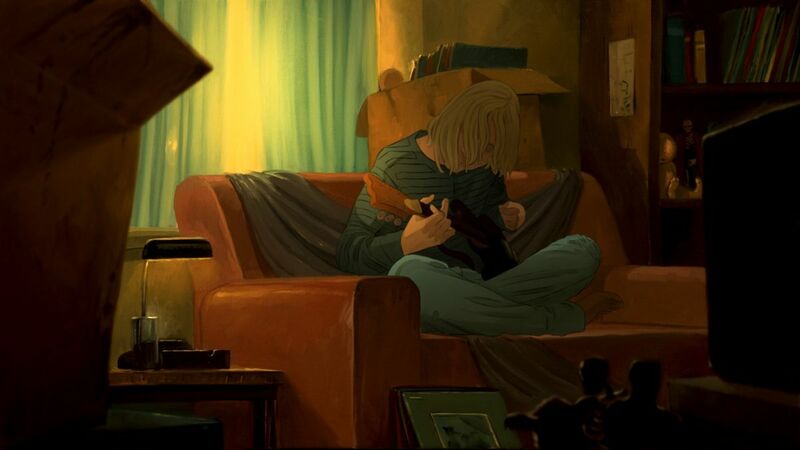 Cobain is drawn in rotoscoped lines and it adds a degree of realism to the film. Instead of Cobain being described by those who knew him we get to see him animated, and talking in his voice. It’s a touching ode to a man who is often lost in the mythology we’ve shaped around him. Montage of Heck also brings to mind the Martin Scorsese documentary No Direction Home and both managed to fracture the narrative of fame surrounding their respective subjects. There’s a sadness however in Morgen’s film not found in Scorsese’s equivalent – Dylan survived, he rebranded, and he left behind the folk scene that tried to claim him. Cobain didn’t make it. The central concern of Morgen’s documentary is its focus on the man behind the Cobain brand and it’s never about Nirvana either. Instead Kurt is articulated carefully and shown to be flawed, battered, and broken but charismatic and likable too. His work speaks for itself but at the same time the context surrounding the creation of that work is explored in great detail. This is a picture of man, not a rock star, or the Nirvana front man, but an everyday kid from rural America who couldn’t deal with the attention he got. He wanted to be loved and acknowledged for who he was, and that sadly seems to be something that he never found. Kurt’s story is heartbreaking and at times his descent into drug addiction is difficult to watch. There’s a disturbing feeling that a lot of what happened to Kurt was the fault of others, perhaps it highlights a problem with celebrity, but at the same time there’s the knowledge that he was self destructive too. Without that drive he wouldn’t have made music. The music came from the unhappiness that we all bought into and emulated, and we argued that he was the voice of a generation. The sad truth is that he wasn’t. He was a man overcome by sadness and he found an outlet for it but that was exploited too. Kurt’s work was sold, stripped for parts, and homogenized. Ironically it was what the young Cobain wanted – recognition. Perhaps an older Cobain would have desired something else entirely. Montage of Heck is a poignant piece of film making that masks its documentary form with a focused exploration of its troubled star. It suggests that although Cobain was an unwitting ‘hero’ who slotted into the troubled and tortured stereotype of an artist, he was also a genius, a man who couldn’t stop creating. It once more brings to mind Linklater’s work, this time his film, Slackers (1991). Thematically Linklater’s film considers the idea that destruction is a creative passion and that seems like an apt summation of Cobain’s life and his death too. He was a Generation X slacker, a man who rejected the received wisdom and the 9 – 5 constraints of the Baby Boomers, but he wasn’t lazy. He was always making new things and his work reflected the idea that everything simply gets rearranged and reused. Sadly things do get lost in the process and for Cobain the loss he experienced was finite and profound. 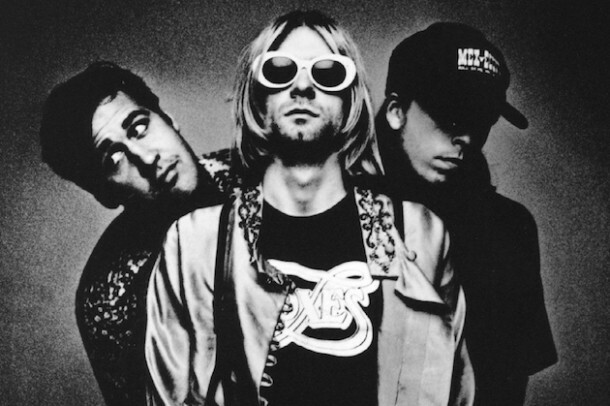 Kris Novoselic, Kurt Cobain, Dave Grohl – collectively known as Nirvana. Montage of Heck captures succinctly the pop and youth culture that existed at the end of the ‘80s and in the early years of the ‘90s. It shows that Cobain was a product of that time and his life and work belong to that corner of history. It’s a documentary about Cobain but it’s also an ode to a man who lost his way, who was swallowed up by the mass media machine, and who couldn’t find an easy way out. The documentary itself ends abruptly and it feels unfinished. It doesn’t explore the controversies surrounding Cobain’s death, and it doesn’t dramatize his last days, instead the film just stops. It’s an apt way to end the story and the form that the documentary takes reflects the unfinished nature of Kurt’s life. Montage of Heck is a touching and bittersweet ode to a fallen cultural hero. But it’s strength lies in the fact that it fractures the mythology surrounding the man and shows a broken and unhappy person who wrote songs for himself but found that everyone wanted them too. Like his songs Kurt Cobain was stripped down and sold for parts. The whole is gone and all we’re left with are pieces. Morgen puts them together carefully and we’re left with a picture, incomplete but more detailed than it was before.